The relationships you build in your life can affect your health as much as your diet, exercise plan, or sleep habits. And, if you want to build strong connections, you need effective communication skills. That’s where nonviolent communication comes in. 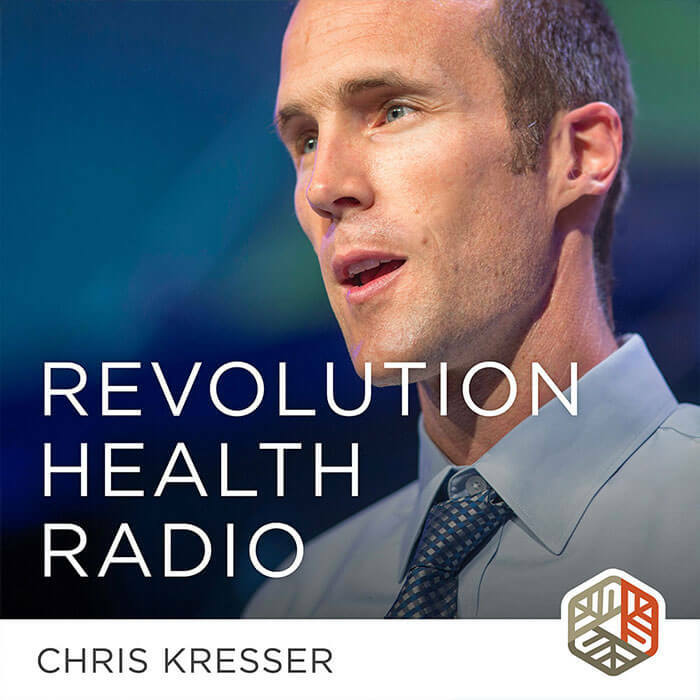 In this episode of Revolution Health Radio, I talk with Oren Sofer about what nonviolent communication is and how it can help you connect with the people in your life. Hey, everybody, Chris Kresser here. Welcome to another episode of Revolution Health Radio. This week I’m going to be talking with Oren Sofer, author of a new book called Say What You Mean: A Mindful Approach to Nonviolent Communication. And I’ve known Oren for many years. We’ve been in some of the same communities together, and I really love his approach to this topic. And you might wonder why we’re talking about communication on a podcast that’s primarily devoted to health. But communication is one of the things that we do more than anything else no matter what it is that we’re doing, unless you live as a hermit in a cave. And a growing number of studies have shown that how we communicate and connect with other human beings in our lives has profound and measurable effects on our physiology, everything from our hormones to inflammatory markers to our nervous system. So I wanted to bring Oren on to talk about this. He teaches meditation and communication nationally and holds a degree in comparative religion from Columbia University, and is a member of the Spirit Rock Teachers Council. Spirit Rock is a very well-known meditation center here in the Bay area. He’s also a certified trainer of nonviolent communication and a somatic experiencing practitioner for healing trauma. So I hope you enjoy this conversation as much as I did. Let’s dive in. Chris Kresser: It’s a pleasure to have you here. I’ve been looking forward to this for a long time. Oren Sofer: Thanks so much, Chris. Yeah, it’s nice to be here. 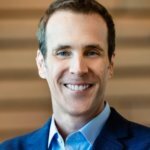 Chris Kresser: So, some people might wonder, why on a health podcast are we talking about communication? This is something, of course, I have a background in myself, and I’m really passionate about, but why does communication matter? Why should we be talking about this on this podcast? Oren Sofer: Wow, yeah. It’s such a big question, Chris, on so many levels. I mean, probably the first level is that we’re learning more and more about how much healthy relationship does for our physiological well-being. And when our relationships are going smoothly, when we have healthy connection with other human beings, our whole immune system. I mean, you know more than I do, everything, it boosts everything inside. So just on the personal level, in terms of our own well-being, and if your audience is working as a health coach or a medical practitioner, clinician, the ability to support patients to have healthy relationships in their life just provides a solid basis for well-being overall. And communication is kind of the currency for our relationships. So that’s the first kind of most basic level of why we’re talking about it. The next level, I think, is in terms of the relationships that we have with patients. And our communication is how we get a lot of information. Anything that we’re not testing for, we’re using our senses, we’re finding out information through the stories of our patients and their history. So being able to really have clear, effective communication to establish trust with the patient so that they feel willing and open to share with us. And also creating bonds such that we’re really able to heal. So much of healing comes when we feel supported and held and cared for. And so I think all of those are levels that can enhance our practice. Chris Kresser: Yeah, that’s really a great summary I think. And I’ve thought, of course, a lot over many years about what the definition of health is. And one of the examples that I’ve used is if somebody has no physical complaints, they sleep well, they have perfect digestion and good energy levels, all that stuff, but they are absolutely a wreck in their personal life, like they can’t get along with anybody, they can’t hold down a job or be in a relationship for any significant length of time, is that person really healthy? Just like our diet and exercise routine, the way we communicate with each other impacts our health. So what’s the “healthy” way to talk with the people in your life? Check out this episode of RHR to find out—and to learn how to practice it in your relationships. What do we think of health in that context? And I think what you said about how communication can contribute to well-being on a physiological level—and there’s so much research about that, like you said, with how it helps to regulate our immune system and our endocrine system and our neurological system. And that makes perfect sense from an evolutionary perspective, right? Humans are tribal animals. Chris Kresser: And so if we couldn’t communicate, even if that communication was initially nonverbal, if we couldn’t communicate in a way that made ourselves understood and feel connected with other people around us, that was almost akin to death because it meant excommunication from the tribe. And then that in a natural environment, that often would mean death. So there’s a lot at stake here. It’s really interesting to think about it from these different perspectives. Oren Sofer: Absolutely, and I think we’re talking a little bit about the connection level and how we’re social creatures and that’s kind of so deeply embedded in our DNA. I think the other level here, which is kind of going back to what you are talking about in terms of the definition of health, is that not only are we relational creatures, but we’re intelligent creatures. And one of the other core needs that we have in life is a need for meaning and purpose. And I think not a lot of people, maybe, are aware of the role that communication plays in our level of satisfaction with life in terms of how aware we are of our sense of purpose and meaning, and how connected we are to it, not only in terms of our communication with others, but in terms of our communication with our self and the level of awareness that we have of what really matters to us and what’s important. And it’s, I know it’s one of the things that you and I connect on and why I love your work so much in terms of, like, really your goal of wanting to help people to be healthy for a reason so that they can live out their dreams, right? It’s not just health for its own sake, but what’s our purpose here? Chris Kresser: Absolutely. And that’s something that’s not often discussed, unfortunately. And these conversations about health, but so important as we’ve covered. So let’s talk a little bit about, more about your approach to communication. You recently came out with a book: Say What You Mean: A Mindful Approach to Nonviolent Communication. And just a little background for listeners, I used to teach nonviolent communication and also have the background, as I think most people know, in mindfulness and meditation. And Oren has combined both of these approaches that are very dear to me and has been working on that for many years. And that’s one of the main contexts that I know Oren from. So that’s why I wanted to have him come on and tell us a little bit about what both of these approaches have to offer individually and then why put them together in this way that you’ve done. Oren Sofer: Yeah, yeah. They’re so powerful on their own, and I think what I found in my own journey, I started with mindfulness practice, just starting to get a handle on what was going on in my own mind and my heart and the emotions in my 20s. And what I found was that my relationships were still a mess. And even though the meditation was helping me to clear my head, it wasn’t translating into my relationships at work, my relationships with family, and that seemed like a real shortcoming. If this stuff doesn’t actually change my ability to be in my life in a different way, then it’s not really worth its weight. So when I started learning about nonviolent communication, which was founded by a man named Marshall Rosenberg in the 70s, both as a form of interpersonal communication, personal transformation, but also as a tool for social change, for really looking at the way our relationships and communication can transform the systems that we as human beings have lived within and have created. What I found was that the skill of awareness and the clarity of my own experience made it so much easier to learn the interpersonal skills because I knew what was happening already inside. And so the journey for me was one of actually having the two present the whole time. And so when I started teaching, it only made sense to help people get more clear about what’s happening internally first, to be able to really identify not only our thoughts but also our impulses and intentions, our emotions, our beliefs, and then to use the framework of nonviolent communication to start to translate that into listening and speaking more effectively and kindly with others. Chris Kresser: Yeah, that makes so much sense and it really mirrors the experience that I had when I was teaching nonviolent communication. I know that for some people, nonviolent communication can itself be a form of mindfulness practice. And that’s the way it was meant to be. Tuning into your own feelings and your needs and using that as a way to be mindful, essentially. But what I found in practice was that without practice or people actually training to do that—because for various reasons, mindfulness, where we’re continuously mindful of what’s happening in our own experience and in the world around us, is not our default human state. And so we have to practice it, right? It’s something that requires attention and practice. And I found that a lot of people, when they were studying nonviolent communication, would be using the techniques without that connection with themselves or the other person. And actually, the techniques would often backfire. Instead of creating more of a connection and understanding, which was the goal, of course, they would have the opposite effect because people felt like they were being manipulated in some way. Chris Kresser: A technique was being used against them or on them. Oren Sofer: Yeah, there’s so much in what you just said, Chris. So, like, I mean, the first thing is that in some sense it’s not immediately obvious that as humans we can step back from our internal experience and observe it. We’re so caught up in the flow of our life, our events, our thoughts and reactions that we might not notice that we have this capacity to be aware of our moment-to-moment experience without being caught up and driven by it. And that’s so much of what we practice in mindfulness, and as soon as we turn our attention inwards and begin to recognize, like, “Oh, I don’t have to be completely identified with every thought and every emotion and every impulse that arises,” it’s like this whole landscape opens up inside of choice and freedom. And the overlap with communication and talking about how, whether it’s nonviolent communication or active listening, really any communication technique can be misused. The reason that happens is because the internal foundation isn’t there. And it’s why in my teaching I place so much emphasis on two things, and the first is our ability to be present. And this is really the prerequisite for any kind of effective or meaningful conversation. If we’re not here, good luck working something out with somebody, let alone developing a relationship or having some meaningful interaction. And we can really feel it when somebody shows up. And in terms of the medical field, I know both of us have had chronic health stuff over the years. I can’t tell you how many doctors I’ve seen who barely even looked up from the chart, right? And it’s like, when somebody actually is present with us, makes eye contact, says hello, takes the time to really connect, we feel that. And that changes, it changes the whole tone and dynamic of the relationship. And that’s what mindfulness helps us to really hone in on is our ability to do that in a really natural way. Chris Kresser: Absolutely. And that’s really, I’ve talked about that in different contexts on this podcast, but that’s really kind of the art of medicine that a lot of people, and physicians themselves, often have pointed out is really missing at this point in our rush to become more efficient. And with the limitations placed on primary care providers, 10- to 12-minute appointments and now everything on the electronic health record where doctors are staring at the computer the entire time, it really has dehumanized that interaction a lot of ways. And there is a lot of research to show, I mean, just to back up what common sense would already tell us that we as human beings need that kind of connection. And as we said in the beginning of the show, that connection is actually healing. It’s not just something that it feels good or that we crave in our hearts. It’s actually something that leads to measurable changes in our biochemistry. Chris Kresser: And it’s a big kind of question mark. Like, how are we going to bring that back into medicine? Because we’ve been going in the, really in the opposite direction with that for the past several years. Oren Sofer: Yeah, and it’s not only patients it has an effect on. It has an effect on clinicians in terms of burnout. And so when there is the support, whether it’s structurally in terms of the healthcare system and the electronic health record, whether there’s support structurally or within a practice or on a team, to slow down enough to have those connections, those real connections with other human beings, with patients, with team members, our work is more meaningful. It’s more satisfying. Chris Kresser: So, you mentioned, so the first key in this communication process was to lead with presence, which we’ve been talking about and how important that presence is, just connecting to self and really being aware of what you’re feeling, thinking, what sensations in your body, and that’s where mindfulness can be so important. But your second step is coming from curiosity and care. And talk a little bit more about the role of intention in communication—what we’re setting out to do in a communication and how that influences the quality of the communication that we end up having with somebody. Oren Sofer: Yeah, yeah, sure. This is one of those things that it’s so central and key. And yet something that we don’t, we hardly pay attention to. And it’s one of the main reasons why so many communication techniques backfire is because we haven’t actually been honest with ourselves about our intention. Oren Sofer: Yeah, we trust those signals because we’re like, “I know what you’re saying, but I’m feeling something else, and I’m going to trust my gut here.” So a lot of our default conditioning, particularly whenever there’s a difference or a conflict, is to try to protect or defend ourselves or to get our way. Because that’s, everything in our society is structured in terms of power over and someone winning and someone losing. And the whole field of communication and conflict resolution is based upon the possibility of collaboration of a different outcome. Of actually using conflict as a source of creativity and discovery rather than a problem. And that’s a radical shift. I mean, it’s definitely not the first place we go when we have a disagreement with somebody. Chris Kresser: Yeah, not at all. But of course, I think almost everybody has had the experience of conflict being an opportunity for growth personally or even growth in the relationship or the connection, once you’re able to resolve the conflict. Chris Kresser: And that’s one of things that drew me to this nonviolent communication in the first place was just the understanding that there is an opportunity in conflict because conflict arises out of unmet needs. And so if you’re able to approach the conflict in a transparent and open and honest way, then there is actually a possibility of both people having their needs met. Which is great. Chris Kresser: That’s a fantastic outcome. Oren Sofer: And the key there, the key to that shift which you’re pointing to, is that ability to get curious. Oren Sofer: To actually get interested in the situation and say, “Okay, what’s actually going on here?” with the understanding, and this is where the view or the perspective of nonviolent communication comes in, the understanding that we’re all just trying to get our needs met and that we share the same needs. That fundamentally underneath our agendas and our ideas and our views that as human beings on some fundamental level, we all want the same things. Chris Kresser: Such an important point, and I want to kind of reflect it in a slightly different way to just to help people understand this, and I think that’s another one of Marshall Rosenberg’s brilliant insights, is that there’s, needs don’t conflict. There’s no conflict on the level of needs. The conflict arises in the strategies that we use to try to meet those needs. Chris Kresser: And it’s such a powerful shift when you understand that and when you, in a conversation or a conflict, you get to the place where there’s a recognition on both sides. “Hey, we both actually have this need for safety or for understanding, and we’re just trying to meet that in really different ways.” Like, I’m coming towards you really aggressively and you’re withdrawing. Or whatever it is. And we have our strategies that we adopted for meeting needs probably at a very young age and for a number of different reasons. But if you just, if you don’t ever get to that recognition where that you’re both operating from that same kind a shared set of needs and that everything else comes out of that, then it’s much more challenging, I think, and in some cases, maybe even impossible to get to a point where there is true understanding and an opportunity then to find a new strategy that can meet both people’s needs. That’s where the real magic happens, I think. And so I love the way you frame it with … in terms of intention and curiosity and being willing to soften a little bit maybe or let go a little bit of the agenda that you might come into the conversation with. Recognizing that of course there’s an agenda. Like, you wouldn’t be having a conflict if there wasn’t some need that you’re trying to meet. So it’s not like that disappears, but just being willing to open up a little around that and see why the other person is, what’s going on for them. Oren Sofer: Yeah, yeah, and the other layer here that we often overlook but that we can begin to address when we’re remembering and using these tools, is that in any conflict, in any situation, there’s at least two levels happening. There’s the concrete thing that we’re talking about, whether it’s getting a status report in on time, or how much time we spend together in a personal relationship, or whatever the actual strategies that are bumping up against each other that we’re trying to work out. So there’s that level of things. But underneath that there’s the level of simply wanting to be heard and wanting to be understood. And so much of the time we don’t actually attend to that with one another. We don’t take the time to really try to say, “Well, let me just see if I can understand where you’re coming from, regardless of where this goes. Whether I agree with you or not. Whatever we decide. Let me see if I can just hear you and hear what matters to you.” And when we have the space inside and the willingness to do that, it starts to transform the whole landscape of the conversation and the whole tone. Chris Kresser: Absolutely. And it’s so, I mean, it’s just really a totally different framework, I think. This is one way of looking at it. To approach a conversation like this, as you say, when you’re coming from curiosity and care, possibilities open up that weren’t there before. When you’re really attached to what the outcome is and you’re really attached to, in particular, your idea of how you’re going to get to where you want to get to, then you’re by definition not open to all of the other possibilities that might actually be better than what you’re imagining in the first place. Oren Sofer: Yeah. One of the things that I love about this approach also is how empowering it is. So much of the time when we’re in these kinds of situations, we can feel this level of desperation or, or helplessness. And when our focus, when we’re fixated on getting our way or this one strategy, this one thing that needs to happen, our only resource, our only avenue for resolution is getting the other person to do something, which as we know is not really possible in most situations, and get people to change. And I say, “It’s like if these tools only worked with people who had them, they wouldn’t be worth anything because the vast number of people in our life are not practicing this stuff.” But it takes two to tango and so as soon as we start changing the way we’re showing up and relating, it can’t help but affect the other person. Chris Kresser: Absolutely. So let’s talk a little bit more now about the third element in terms of this process which you call focusing on what matters. And this, it can mean anything from clarifying what happened to making space for emotions, identifying deeper needs. So tell us a little bit more about this. Oren Sofer: Yeah. So this is that component that we’ve been kind of talking about, which is the underlying needs, objectives, or values that are motivating us. And this is where nonviolent communication really is like a contemplative practice. Spiritual practice, contemplative practice, mental training. These are all ways of training our mind’s attention to say, “What am I paying attention to?” And a lot of the time in relationship we’re not even conscious of what we’re paying attention to, let alone choosing what we’re paying attention to. And much of the time what we focus on are our judgments of one another, the story that we’re telling ourselves about their intentions or motivations and the outcome that we want. And we can actually train ourselves to learn to shift our focus of attention to other aspects of the experience that make it more likely that we’ll be able to hear one another and work together. So this is where the nuts and bolts of nonviolent communication really come in, of being able to tell the difference between our interpretations and evaluations of the other person or what’s happening, and just the pure observations of, like, okay, what actually happened here? What am I reacting to? And if this is just one example of being able to focus on what matters, like, what’s actually important here? Because if we’re not doing that, just that one step of differentiating between our interpretations—for example, you’re being hostile. So if I’m perceiving you as being hostile, I’m going to have a whole response going on, and that’s going to color the way I approach you and the way I approach the conversation. And who’s in control? You are, because I’m reacting to you. But if I can identify the actual behaviors that I’m responding to and focus on those rather than my interpretation, now I’ve taken that power back because now I have the capacity to choose how I’m going to respond and what story I tell. If I see that you’re speaking a little bit more loudly, you’re leaning forward, maybe your fist is clenched, okay, those are the observations. And now I could interpret that. If I interpret that as you’re scared or you’re feeling overwhelmed or maybe you’re needing help or you feel backed into a corner, my response is going to be different. So focusing on what matters is a whole, the whole training of learning to identify what happened, how do we feel about it, what are the emotions flowing, what actually matters, what are the needs, what are the objectives or the values that are present, and some sense of where we want to go from here. Like, what’s next? What would be useful in this moment? Chris Kresser: So, Oren, I know you and I also both share an interest in the role of the body and the nervous system in all of this. Chris Kresser: There’s a lot of really interesting research that’s been done and new understanding of the brain and the nervous system, and concepts like neuroplasticity over the past few decades. It’s really kind of revolutionized our understanding of how the nervous system and the role of the limbic system and other parts of the brain get involved in things like this, in communication and just our experience of ourselves and the world around us. So talk a little bit more about the somatic piece of this. Like it’s one thing to develop a kind of cognitive understanding of these things, but if you’re in the heat of an argument or something like that and you’re totally activated and there’s anger and frustration and all of those feelings, that’s a whole different story to have access to these kinds of concepts in that situation. Oren Sofer: Yeah, I find it as essential as mindfulness, and in some sense, it’s just another dimension of mindfulness practice, of really learning how to be fully present in our body and not only understand the signals that we’re getting from our nervous system, but be able to steer. To actually be able to ride the waves of activation that come. And so the key here is that our relationship to intimacy, our relationship to conflict, our relationship to communication all kind of gets coded into our nervous system. It gets patterned in, often early in childhood, and then through experiences as we grow, so that a lot of the responses and reactions that come up, they’re not conscious. We’re not choosing to shut down or we’re not choosing to bulldoze or steamroll somebody. We’re not choosing necessarily to be passive-aggressive. Those patterns are there because they used to work based on the circumstances of our life at an earlier time. And so if we’re not starting to actually address the underlying patterns in our nervous system that are driving our communication and our relationship dynamics, it’s very difficult to shift out of them. So one of the things that I talk a lot about in the book and really provide some concrete tips and tools for is how to begin to act to notice and track these cycles of activation in our nervous system. And it’s a totally natural process as we both know. The whole body is continually kind of regulating everything between sympathetic and parasympathetic activation. And we can learn to get used to that rhythm of getting excited or afraid or interested and then settling. But when we don’t attend to that, when we’re not familiar with those shifts, we can get on that train of sort of runaway activation, whether we end up blowing our top or just freezing, which is another common response when we get too activated. It’s just like deer in the headlights and I don’t say anything, and then later I regret it. So we can learn to use body awareness, breath, the information from our other senses, sight and sound to regulate our nervous system in the very flow of a conversation. So that we’re not only working with what’s happening between us, but we’re continually keeping tabs on what’s going on inside. And when we get the information that “I think I’m not going to be able to do this because I’m starting to get too activated,” we can gracefully exit the conversation. Like, we don’t need to push ourselves beyond our edge. Chris Kresser: Absolutely. And so important to develop that skill because just doing it anyways and going forward doesn’t serve anybody. It doesn’t serve you, doesn’t serve the person that you’re talking with, and in some ways it just serves to perpetuate and reinforce the pattern over and over again. Chris Kresser: But being able to just step away even once can have a pretty powerful and lasting effect. Chris Kresser: And that’s the real revolution in our understanding of the brain and the nervous system that has happened over these past few decades is that maybe 30, 40 years ago, and actually, still, in many parts of conventional medicine, people may not still be aware of this, the changes that have occurred in our understanding of the brain and the nervous system. But we know now that through changing your behavior, you can literally change the structure and the function of your brain and nervous system. So what you just said there, Oren, is we’re not just speaking figuratively in terms of creating a new pattern in the nervous system. We’re talking about actually changing the structure of the neurons, where the neurons that fire in that situation when you behave in that way, actually those connections get stronger, and the neurons themselves get bigger and grow. It’s amazing. I mean, it’s such a profound realization to know that how we behave and the choices that we make actually affect the structure of our brain and function of it. And then Eric Kandel won the Nobel Prize for determining that those neuroplastic changes that we’re talking about affect gene expression in every cell in the body. So then that gives us an understanding of how these things that we’re talking about can actually impact our health in very direct and real ways. I mean, genes control everything. How genes express controls everything. All the proteins in our body come from genes. So it’s not a stretch at all to say how we approach these kinds of conversations and connections with other people and how we relate to ourselves and other people is actually biochemically changing our body in real time from moment to moment. I just think that’s so incredible. And I say it all the time, but I’m no less excited by it when I talk about it now. Because it’s just, it’s a game-changer. Oren Sofer: Yeah, yeah. It’s really mind-boggling and it’s one of the things that, wherever I go when I speak, it’s the one thing that I hope that people take away, which is that communication is a learnable skill. It’s not something that either you’re good at or you’re not good at. Wherever we are, we can transform our relationships and the ways that we show up, the ways we interact and communicate, and then as you’re pointing out, that has this whole cascade of effects on our level of well-being, emotionally, physiologically, and even spiritually in terms of our sense of connection and meaning in life. Chris Kresser: Absolutely. So tell me a couple of stories maybe, just to make this a little more practical and real for folks that are listening about how this can manifest in people’s lives. I know you work with a lot of people in a lot of different contexts, including on retreats and workshops. So maybe a couple stories that might help bring this to life for us. Oren Sofer: Yeah, yeah, sure. Well, so one story that I love to tell is actually a story from a colleague of mine just about the power of these tools for our own life and for our own sense of autonomy and empowerment. One man was leaving a workshop where he was exposed to this idea that we’ve been talking about, that human behavior is an expression of our attempt to meet needs. Just this really simple understanding that we do stuff because there’s something that matters to us. So he’s in his car driving home and he reaches for a pack of cigarettes. And he pauses. He says, “All right, if this stuff is actually true, then my reaching for a cigarette right now is an attempt to meet some more basic need, some fundamental need.” So he said, “All right, let’s think about this. What do I actually need here? What do I want?” And he thought about it and he realized, “You know, I want a break. I want to relax. I want to take my mind off things.” And in that moment it became so clear. He says, “Well, there’s a ton of better ways of doing that than smoking,” and stopped smoking cold turkey. Oren Sofer: Yeah. Now, obviously, not everyone has the level of willpower to stop smoking, but it illustrates this fundamental principle that when we’re aware of what our needs are, we have so much more choice in our life. Chris Kresser: I love that story. It is, I mean, again, as you said, not everyone will be able to pull that off in this specific thing with smoking because there’s so many, it’s such a powerfully addictive habit. But it’s a good story for illustrating how powerful it can be to just, to get in touch with that need that’s driving the behavior. And actually in health coaching, we talk about a feedback loop which you may be aware of, Oren, where when you’re working with a habit, you identify the cue, the routine, and the reward. And most of us are, we’re aware of the routine. Like, smoking in this situation is the routine. But what’s the cue? What’s really driving that habit? What’s the cue that’s causing us to choose that routine and what’s the reward? In this case a break. So it’s really interesting how this all comes together. Oren Sofer: Yeah, yeah. And then to talk about an example that’s more focused on the health situation, I was doing some training for folks running community health clinics. And one of the managers was complaining about the fact that their staff doesn’t turn in the status reports on time. And they’re kind of constantly in this dynamic of this, like, tug-of-war of trying to get them to turn in their charting and status reports. And so one of the things we were able to do, again, with this approach was to try to get clear about, okay, well, why are these reports important to you? The report is the strategy. And being able to take it out of the context of just the status report and see the larger picture of their own needs as a manager and the needs of their employees in terms of what’s getting in the way, just opened up a whole new perspective to actually have the conversation and work together to figure out something different. Chris Kresser: I love that. Oren Sofer: Yeah. So one more short story that just happened that is just so moving to me on the personal level. This gentleman in his 70s from the Midwest came on a retreat and was pretty quiet the whole retreat, but taking things in. At the closing circle at the end of the program, he said something very short but that just really captured the whole week for him. He said, “You know, during this week I realized that my wife is the person that I talk to the most, but talk with the least.” And there’s just that sense of, like, can we actually show up and be present with one another and start to really enjoy being alive together? Rather than just seeing each other as objects. Chris Kresser: Yeah, how to be with. That’s such a, that feeling of being with and on the same team often makes such a huge difference when there’s any kind of a disagreement or a conflict. Just that shift in consciousness can really, I’ve found, shift the dynamic quite a bit and make everything seem a lot more doable and manageable. So Oren, where can people find out more about your work and your book if they want to learn more about this? I know you teach and have some courses. Oren Sofer: Yeah, absolutely. Everything can be found on my website, which is OrenJaySofer.com. O-r-e-n-j-a-y-s-o-f-e-r dot com. And if folks want to get a taste of my teaching and some free guided meditations, I offer a free gift of six guided meditations when folks join my newsletter. So there’s a really simple way of doing that. Anyone listening can just text the word guided, g-u-i-d-e-d, like guided meditation, to the number 44222. So when they text guided to 44222, it’ll walk you through the steps to join my newsletter. I send out an email every few weeks with a free gift or a talk or article that I’ve written. And it would be great to stay in touch that way. Chris Kresser: That’s great. This is … I really hope that everyone’s gotten a lot out of this and really recommend checking out Oren’s work. It’s so important. I’ve often reflected on what seems to be a very strange aspect of our early life and education is that communication is one thing that we do in every single context. In relationship, work, sports, whatever activity you’re doing with other people involves communication. Unless you’re living as a hermit in a cave and have zero contact with other people, you will be communicating. And yet, we rarely receive any kind of education or training on communication in school or even outside of school when we’re young or even as adults. That has always just blown me away. Chris Kresser: And so I think that’s what drew me to learn more about communication because I felt like I didn’t have the tools I needed to be successful there. And if I could improve my communication, every area of my life would improve because I’m all about those levers. Like, what are the practices that we can engage in that will have multiple positive effects? And these are things like healthy diet, sleeping, making sure you get enough exercise, and I would put communication in that same category. Because it’s something that affects every area of our life. And yet, unlike exercise and diet and all that stuff, it gets way less attention. And there’s way less, it’s not really out in the public consciousness in the way that those things are. So it’s, I think, even more important to take it upon yourself to learn and develop and grow in that way. Oren Sofer: Yeah. And if folks want to learn more about it, my book Say What You Mean comes out on December 11. It’s available online and in bookstores wherever you are. Chris Kresser: Cool. Check it out, everybody. Highly recommend it. Oren, thanks so much for being here. Always a pleasure to chat with you. Oren Sofer: Thanks so much for having me, Chris. Chris Kresser: All listeners, please keep sending in your questions to ChrisKresser.com/podcastquestion, and we’ll talk to you next time. All right, thanks, Oren.